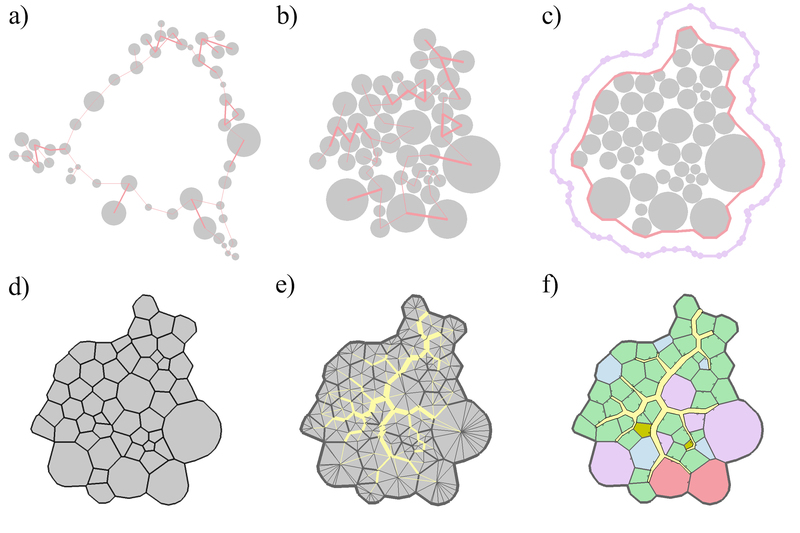 Two simulations, graph-contraction and ant-colony pathing, are used as 'growth processes'. Graph contraction is a family of algorithms that aim to create visually appealing layouts of a graphs. Ant-colony algorithms are probabilistic methods for finding optimal paths using a hive of emergent agents. Attribute genes encode meta-parameters that control various aspects of the simulations. This is analogous to developmental genes that establish patterns and guide development. Instead of encoding every path of all the hallways, a few attribute genes can optimize the entire layout. The floor plan genome is a weighted, connected and undirected graph. Every desired room is represented with a node gene that contains information such as the room's size. Connection genes specify two node genes to span as well as a randomly initialized weight; they are added in a random manner until the graph is connected. Adjacency requirements create a subgraph with maximum edge weight. For example, the cafeteria must be adjacent to the kitchen. The genetic encoding is a generalization of NeuroEvolution of Augmenting Topologies (NEAT) that allows the artificial evolution of neural networks to graphs. This applies historical markers to allow crossover of graphs with varying topology. This allows floor plans to differ in the number of rooms they have. 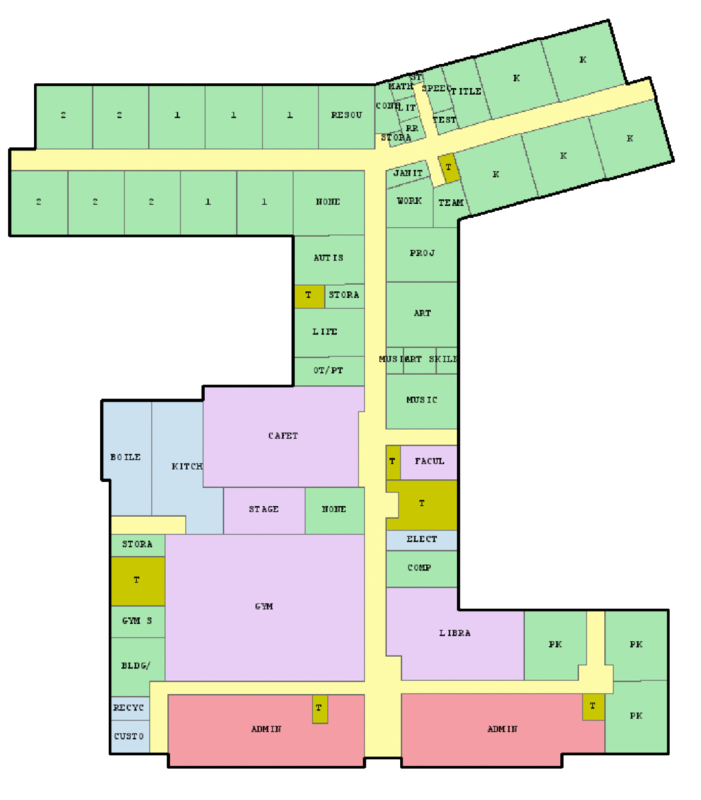 A direction of work specific to schools is the mutual evolution of students' class schedules and floor plan layout. This would allow a unified optimization process of the entire school day experience. Genetic algorithms are already currently applied to optimal scheduling problems. The method could be evaluated with other applications such as office layouts or hospitals. Hospitals could minimize critical routes such as between surgery and pathology labs or between nurses' rooms and patients. Office plans could aim to minimize acoustical problems, a common issue in open offices, or to minimize walking paths, while also maximizing the percentage of walking paths that are shared with employees from other departments. Merrell, Paul, Eric Schkufza, and Vladlen Koltun. 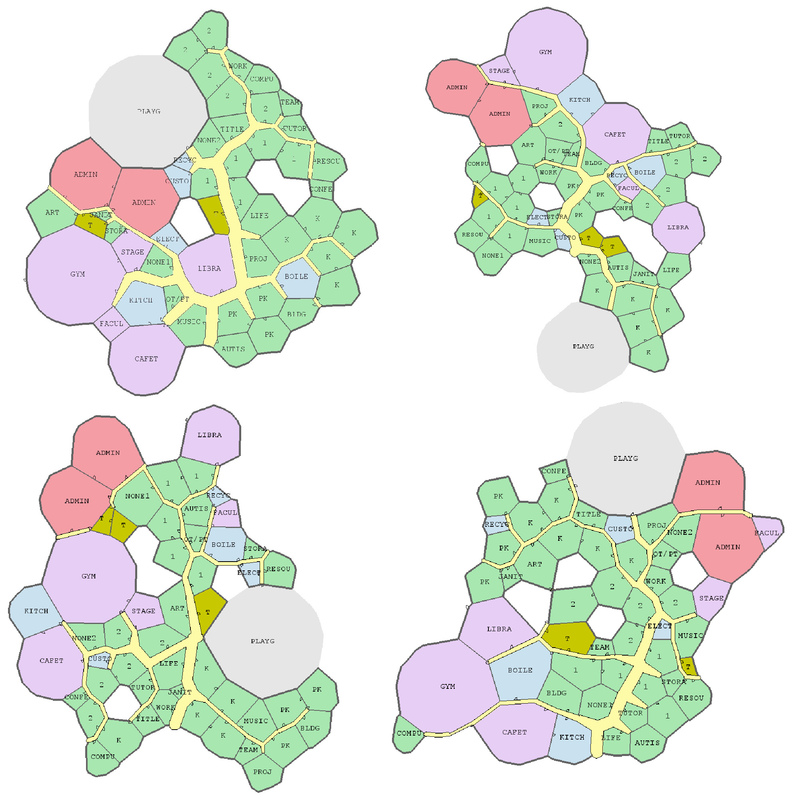 "Computer generated residential building layouts." ACM Transactions on Graphics (TOG). Vol. 29. No. 6. ACM, 2010. Nassar, Khaled. "New advances in the automated architectural space plan layout problem." Proceedings Computing in Civil and Building Engineering (2010). Hornby, Gregory S., and Jordan B. Pollack. "The advantages of generative grammatical encodings for physical design." Evolutionary Computation, 2001. Proceedings of the 2001 Congress on. Vol. 1. IEEE, 2001. Feng, Tian, et al. "Crowddriven midscale layout design." ACM Transactions on Graphics 35.4 (2016). Stanley, Kenneth O., and Risto Miikkulainen. 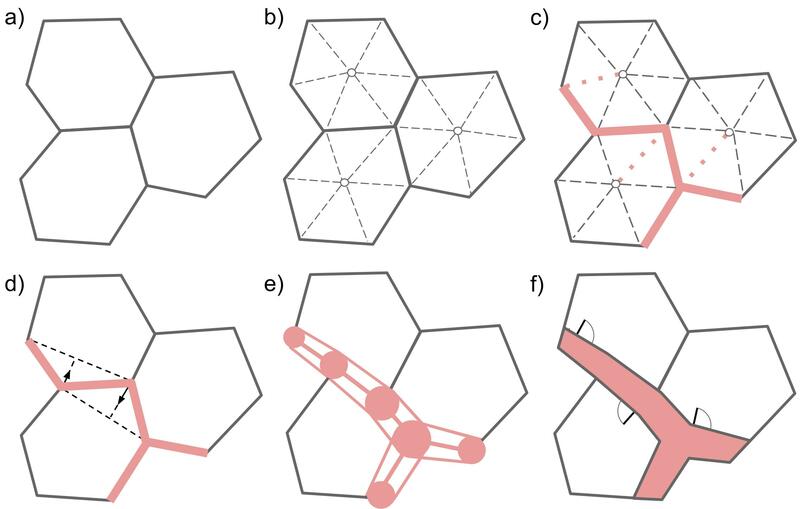 "Evolving Neural Networks through Augmenting Topologies." Evolutionary Computation (2002). Luo, Bin, Richard C. Wilson, and Edwin R. Hancock. "Spectral Embedding of Graphs." Pattern Recognition 36.10 (2003): 2213230. Print. Fruchterman, Thomas M. J., and Edward M. Reingold. "Graph Drawing by Forcedirected Placement." Software: Practice and Experience 21.11 (1991): 1129164. Print.